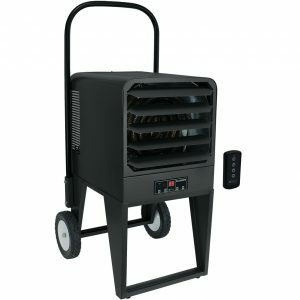 The PKB Platinum electronic portable utility heater is the most full-featured heater on the market. The PKB Platinum is ideal for temporary, large capacity heating. Works well in dry out applications when dry heat is preferred. No odor, no flame, no carbon monoxide. 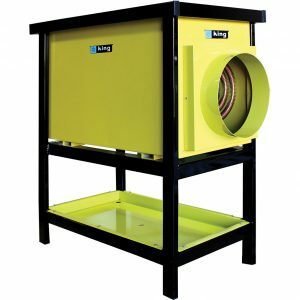 This unit heater is the very best heat source to assist in complete "Dry-out" applications, where dry electric heat is preferred to propane or kerosene heaters.